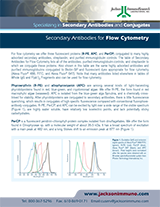 Bulk Savings on the entire Jackson ImmunoResearch Brand! 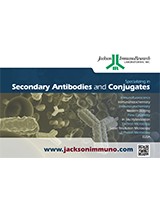 Jackson ImmunoResearch Laboratories Inc. specializes in the production and conjugation of affinity-purified secondary antibodies and purified immunoglobulins. 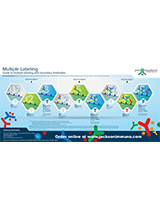 Jackson ImmunoResearch products have a wide range of applicability, and are of value to a number of individuals and groups in the global research community such as those at universities and research institutes in the plant, animal and biomedical sciences. Cedarlane is happy to work in cooperation with Jackson ImmunoResearch in providing a wide demographic of researchers with high-quality research tools and instruments in a timely and efficient manner.